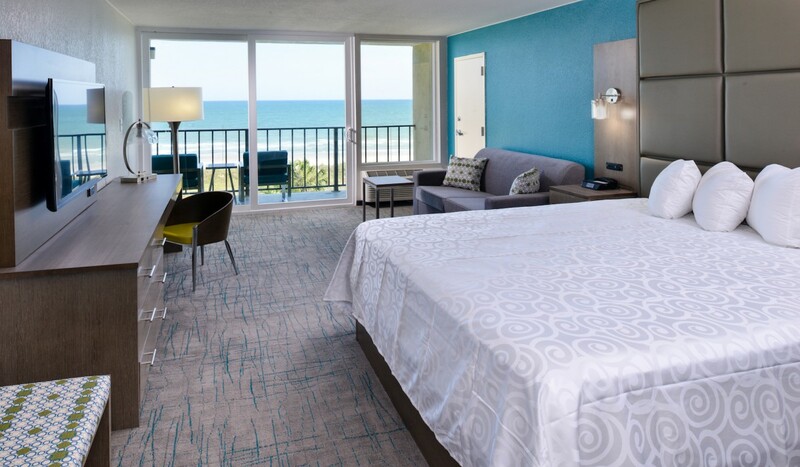 Our Non-Smoking Ocean Front One King Bed Efficiency is a spacious and comfortable room that can accommodate 2 adults and 2 children. 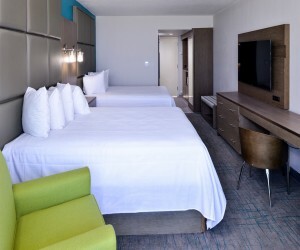 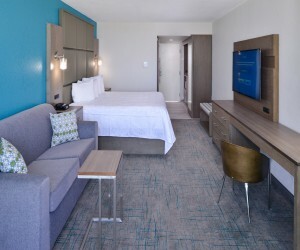 This room features a plush Simmons Beautyrest pillow-top king-size bed and a sofa sleeper. 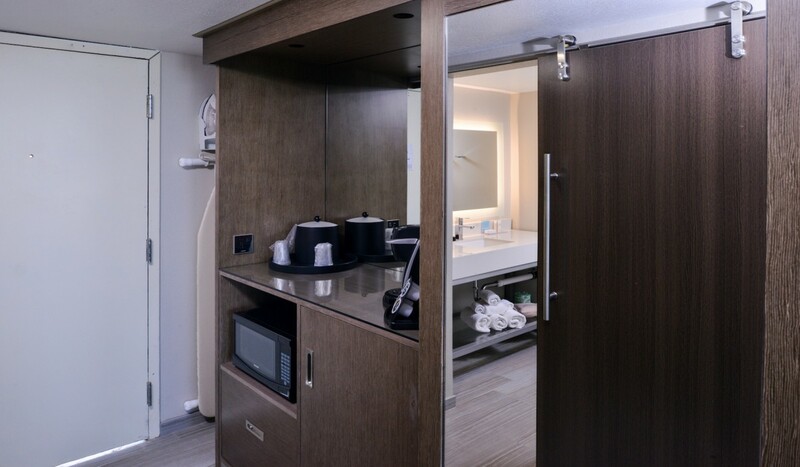 Enjoy your efficiency amenities including large microwave, full-size refrigerator, induction plate, dishes, silverware, pots, pan, and cookware for your convenience. 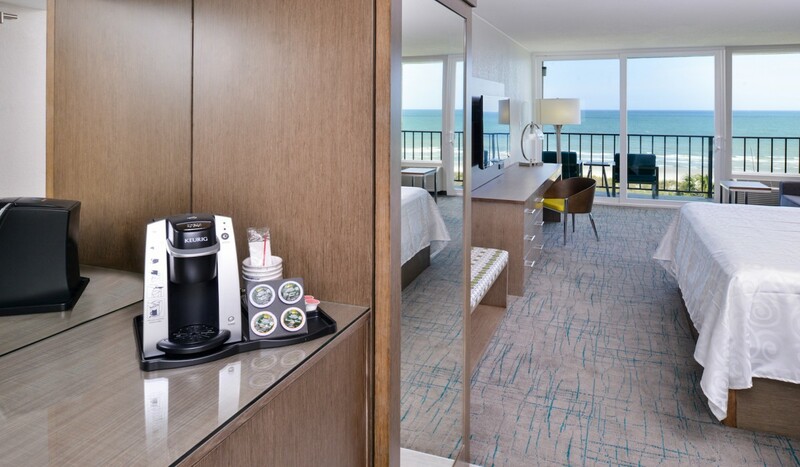 Including a coffee/tea maker, work desk, and much more. 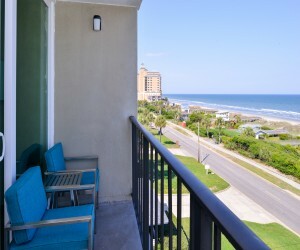 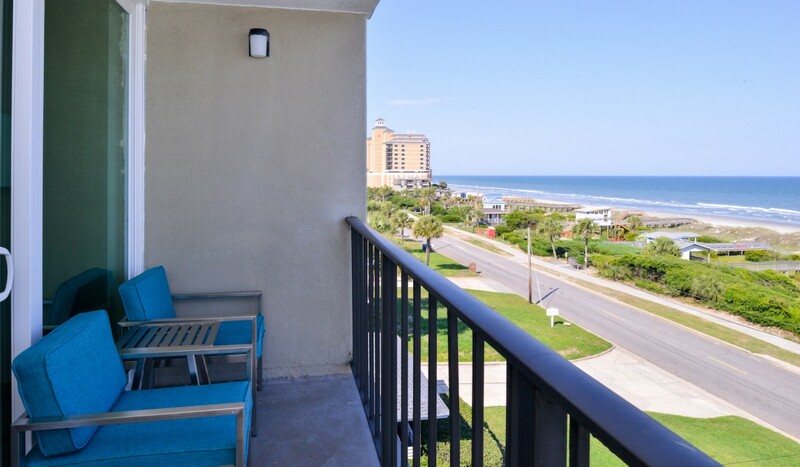 You can unwind after a long day and sit out on your private balcony and enjoy the direct ocean front view. 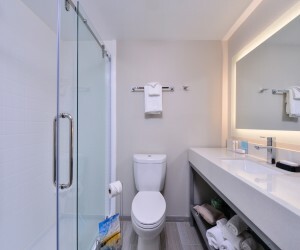 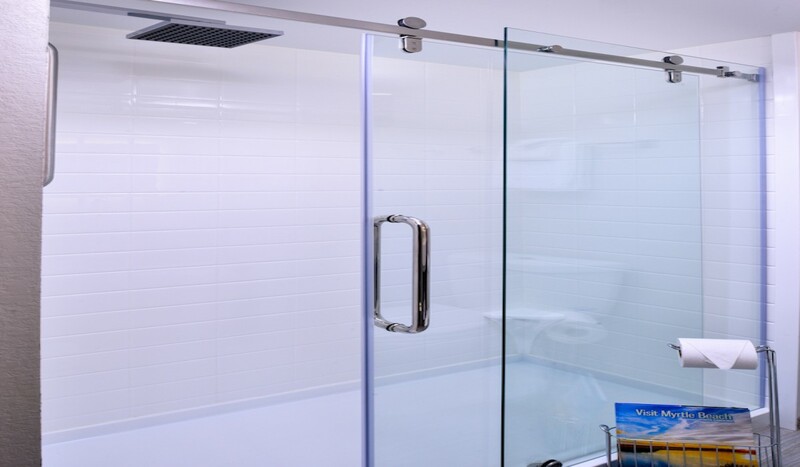 Also, the rainfall showerhead in your private bathroom will surely help make your stay relaxing. 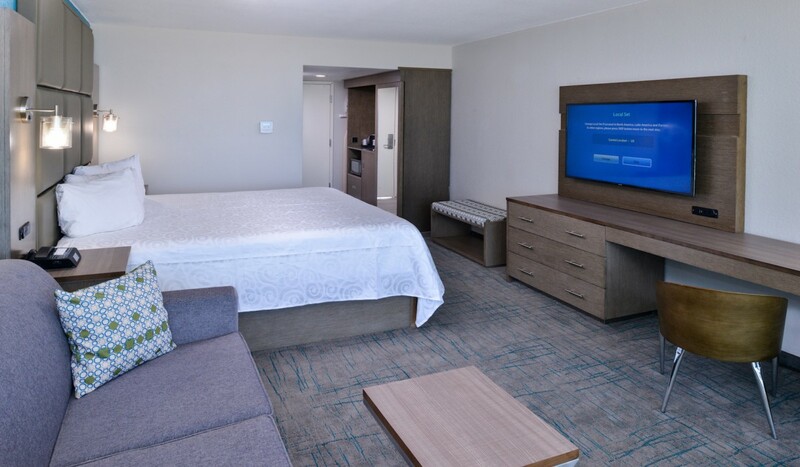 Enjoy the climate-controlled heating and air conditioning system.